Peter Tesar Architectural Design - A Good Year Had by All... and it's Getting Better! A Good Year Had by All… and it’s Getting Better! Most building designers and Architects will tell you the same, last year was a phenomenal year for both work and prosperity within the industry but is this such a good thing? Work was being chewed through at a great rate of knots and I am sure the local planners had a job keeping up with matters but the long and short of it all was that they did and approvals were coming through thick and fast. So… we are now part way through 2015 with no sign of the workload slowing down whatsoever. A successful planning approval is achieved, building regulations are in the bag, a schedule of works has been prepared in support of the proposed work to be carried out and a tender invitation is ready to be offered to the selected principal contractors with a view to getting the sledgehammer swinging into action within the next couple of months following receiving the tenders, reviewing and appointing the chosen builder. 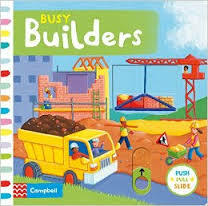 The reality is, the busier the building design sector is, the busier the building sector gets. There are few quality builders out there to choose from in the first place which is a limiting factor in itself, and no client in their right mind would secure a builder without seeing some figures against the proposed works so the time this has all been carried out, your chosen builder will have 2,3 or possibly 4 projects already secure which would take them almost a year ahead of themselves. Two major sized projects alone could take the years schedule up with the possibility of squeezing in some smaller projects in between. This, along with the possibility of having to wait 6-12 months for Golden Sledgehammer Ltd to start work is the harsh reality of a good year had by all.